Designed for kids and teens to provide individual storage space and organization for books, games and accessories, sports gear, apparel, toys and much more. Ideal for home use or schools. Available in five colors. Includes three inside hooks, two corner protectors and a number plate. Louvers on top and bottom for air ventilation. Recessed handle with finger-lift latch accommodates a standard padlock (not included). Durable steel construction with powder coat finish. 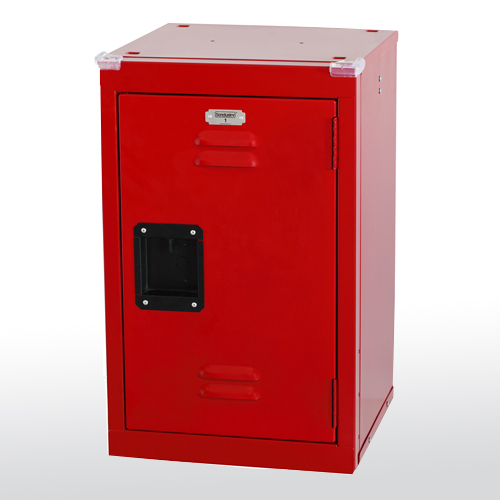 Overall size of locker is 15”W x 15”D x 24”H. Shipped unassembled. 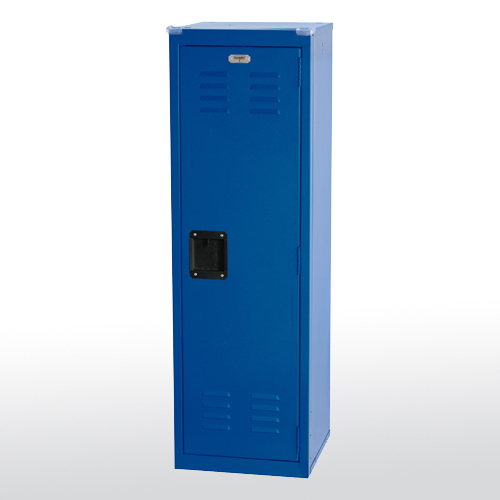 Pre-drilled holes allow these lockers to be stacked on one another or wall-mounted for multiple applications. Note: In the interest of safety, it is recommended to floor and/or wall mount lockers to avoid injury. Includes one top shelf, three inside hooks, two corner protectors and a number plate. Louvers on top and bottom for air ventilation. Recessed handle with finger-lift latch accommodates a standard padlock (not included). Durable steel construction with powder coat finish. Overall size of locker is 15”W x 15”D x 48”H. Shipped unassembled. Pre-drilled holes allow these lockers to be stacked with 24"H lockers or wall-mounted for multiple applications. Note: In the interest of safety, it is recommended to floor and/or wall mount lockers to avoid injury.